The constitutional issues arising from the Scotland Bill did not command huge interest from all citizens of Scotland. That was until, of course, Scottish and UK politics became melded into a fight about referenda – who holds it, when and what questions are posed. These have all become the lingua scotia with the mingling of political expedience, polled outcomes and questions of principle. Up until the referendum question burst onto the scene, the Scotland Bill attracted interest, in the main, from lawyers, especially Scottish criminal lawyers. The proposed changes to the scheme of devolution, and most importantly the definition of ‘devolution issues’, was as good as it got. That was not without controversy, especially in light of the comments of Nationalist politicians about the role of the Supreme Court doubting its very existence in the new devolution scheme. The Supreme Court’s decision in Cadder v HM Advocate inspired a great deal of controversy. Instead of engaging with the issues arising from the decisions of the Supreme Court, a great fury was vented upon the legitimacy of the Supreme Court in what are now accepted to have been intemperate remarks. 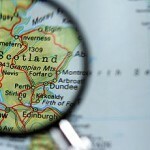 The Scottish Executive responded by the engagement of an august body – a Review Group – to look at the jurisdiction. The revered figures of Lord McCluskey, Sheriff Stoddart and Professor Neil Walker were expected, once and for all, to answer the issues raised concerning the right of a Scottish citizen to appeal to the Supreme Court. Instead, consensus appears to have broken out upon all but a few matters. The McCluskey Group’s deliberations can be read here and here. Given the vehemence of the attacks upon the legitimacy of the jurisdiction, the acceptance by both the Review and Expert Groups of a role for the Supreme Court is of some moment. The legitimacy of the exercise of a right of appeal to the Supreme Court had been seriously questioned. The points remaining in dispute are few in number and, in contrast to the very essence of the right of appeal thought to be under review, of limited significance. The McCluskey Review group focussed upon the extent of review of a Scottish criminal process. On one view they appeared to suggest the widening of the scope of any review to be carried out by the Supreme Court. It recommended that the whole process could be the subject of appeal to the Supreme Court rather than – as the case is at the moment – the acts of the prosecutor alone being the focus available for the exercise of the devolution jurisdiction. The McCluskey group recommended an English solution to the ‘threat’ to the dilution of Scottish criminal law: any appeal to the Supreme Court from Scotland should be exercised on the same basis as the route in England and Wales. The introduction of prior certification by the High Court of Justiciary before direct leave (‘special leave’) can be sought from the Supreme Court has aroused further controversy. The amendments to the Bill, to be proposed by Lord McCluskey in the Committee Stage before the House of Lords, can be seen here. The issue is now before both Westminster and Holyrood Parliaments to discuss the choice between, and mechanics of, the implementation of the Expert and Review Groups. Before the Westminster Parliament the Scotland Bill has now passed to the House of Lords. They met at second reading to discuss, in general terms, the Bill on 6th September 2011. Equalising Scotland with the rest of the United Kingdom on access to the Supreme Court from the criminal appeal court was said to be difficult where there is no general right of appeal in criminal cases to the Supreme Court for Scottish accused. The matter goes before the Lords at Committee stage on 26th January 2012. The Scottish Parliament – which, it is accepted, has no legislative authority to intervene in this matter – has convened its own Scotland Bill Committee to look at the provisions. The Committee has met on a number of occasions to take evidence. On 25th October 2011 it heard evidence from the Law Society of Scotland and the Faculty of Advocates. They were at one in questioning the statistical basis for the introduction of the procedural hurdle of certification. The basis underpinning such a change appears to put Scotland on an equal footing with the rest of the United Kingdom. The Scotland Bill Committee heard from proponents of the change being members of the McCluskey Review Group and the Lord Advocate, on 1st November 2011. Of some considerable interest and surprise was the intervention of the Lord President, who at one and the same time, is the Lord Justice General – the head of the judges of the High Court of Justiciary. The Lord President intervened to say that he, along with other judges of the Court of Session, supported the introduction of a requirement of certification. Parliament has shown its ability to go its own way – recognising the different roles for judiciary and legislature. In the course of the passage of the Damages (Scotland) Act 2011 the views of the judges of the Court of Session were sought, analysed and ultimately rejected in favour of those of the Scottish Law Commission. 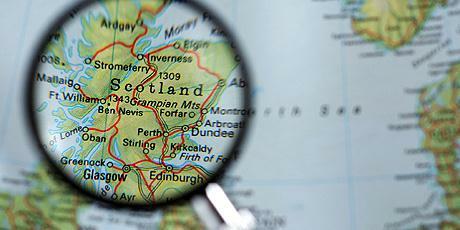 The intervention of the judges in the matter of law reform is a surprising development in post–devolution Scotland. The Committee will issue its report in due course. The focus now moves to Westminster and the deliberations in Committee before their Lordship’s House. Change, there most definitely will be. Even the hardiest of campaigners accept that the removal of the Lord Advocate from the ambit of section 57(2) of the Scotland Act 1998 is a foregone conclusion. The matter then comes down to proposed changes to the scope and definition of ‘devolution issues’. On the one hand the present Advocate General for Scotland is minded to accept the proposals contained in the Edward’s Expert Group report, that is to remove the cumbersome procedure that, at present, accompanies the raising of a devolution issue. It is proposed, however, to retain a right of access to the Supreme Court unfettered by requirements of certification. On the other, the Lord Advocate’s proposed changes will introduce a novel concept into the procedures of the High Court of Justiciary namely the requirement of leave to appeal or a certification of the cause as sufficiently significant to merit the attention of the Supreme Court. The Lord President has once again intervened in the parliamentary deliberations on this issue – this time at Westminster. In a letter of 16th January 2012 Lord Hamilton has invoked his right under section 5 of the Constitutional Reform Act 2005 to make his views known. They reiterate largely what has been stated to be his position to the Scottish parliament. The shape of the Bill as it comes out of Committee in the Lords, will be of interest mainly because of what it may say about the struggle between Holyrood and Westminster. The power lies with Westminster. The political will lies in Holyrood. It may be that the bigger picture of referenda obscures the lesser questions of the redefined role of the Lord Advocate and in turn the content or definition of devolution issues. What will have to be decided, one way or another remains a significant point of controversy between the coalition and the nationalist government in Holyrood. That it has boiled down to this point of procedure and the question of how a Scottish citizen accesses Supreme Court Justices for a determination on the question of his Convention rights is testament to the calming of fury. What is left is nonetheless an important point for the future of our law and its respect for Convention rights. Leave a reply on "The Supreme Court and the Scotland Bill"